Hi…welcome to Hair Transplant Review….. Most men won’t care so much if their hair begins to shed by the age of 50 or beyond. But these days increasing number young people are facing alopecia by the age of 30 or some even before. The occurrences of alopecia in women too have increased tremendously more than ever before. Massive hair loss like Androgenetic Alopecia is no more a big issue as you can still grow the new hairs through hair replacement. Thanks to modern medical technology. There are a number of men with male pattern baldness who are increasingly opting for hair transplantation as a viable solution to deal with alopecia. Unlike men, it is very, very difficult for the women to live with female pattern baldness and a good number of them go for FUE Hair Transplant or the strip hair replacement as every woman loves her hair so dearly. In this hair transplant review, let me discuss with you the basic facts and procedures of this hair treatment, and also we shall discuss hair transplant side effects, before and after results, and the approximate cost of doing it. Since the 1950s, hair transplant is used in the US to plant hairs on the bald areas of the scalp. This was initially started as a treatment for Androgenetic Alopecia or male pattern baldness. It is a surgical technique in which individual hair follicles or a narrow strip of hair-bearing scalp from the back of the head is extracted and transplanted it to other areas of the scalp with thin or no hair. This hair replacement surgery consists of minimum invasive procedures. On the scalp of the patient, the surgeon identifies the hair follicles genetically resistant to balding (normally the hair at the back of the head) and some of those hair follicles are then transplanted to the bald areas of the scalp. 1. Strip Harvesting:- A strip of skin is grafted with almost all of the epidermis and dermis surrounding the hair follicle, and this skin strip is divided into several tiny grafts, and they are then fixed onto the bald area. 2. Follicular Unit Extraction (FUE):- Many tiny grafts of hair follicles, with a cluster of 3 to 5 hair strands each, extracted and transplanted onto the hairless area. It is obvious that the surgeon will do an initial consultation with the patient to finalize the exact hair transplantation procedures to be followed to meet the expectations of the patient. It is highly advisable to have the follis-cop test done before transplantation to identify the existing density of hair follicles. This will help in accurately deterring the number of grafts required to be transplanted on to the bald area. The surgeon may also prescribe hair growth medicines like minoxidil ointment for topical application and hair growth vitamins to be regularly consumed from many days before the actual transplantation begins. The patient also needs to be in good health and should not be under any serious medication for other diseases. Refraining from alcohol and smoking by the patient also contributes to the better success rate of the transplantation. There are two donor hair harvesting methods commonly used. Strip FUT Surgery:- Strip harvesting is one most commonly used methods for removing hair and follicles from a donor site. In this method, the donor’s hair is harvested by extracting a strip of scalp skin (2 to 4 inches long) which has a large number of healthy hair follicles and strands of hair. It involves a cut surgery going beyond the hair follicles roots in order to extract the strip of skin with hundreds of hair follicles. Usually, the strip of scalp is extracted from the back of the head where the hair follicles are normally not affected by the androgenic alopecia. The surgeon harvests a strip of skin from the posterior scalp which is an area of good hair growth. A single, double, or triple-bladed scalpel is used to remove strips of hair-bearing tissue from the donor site. It causes a patch of a deep cut on the behind part of the head but it is neatly sewed up and gradually new hair will grow and cover up that area. The surgeon would divide the extracted strip of scalp into several (500 to 4000) tiny grafts containing few hair follicles with 2 to 4 strands of hair on each graft. Of course, the surgeon will require the help of assistants to dissect individual follicular unit grafts into tiny naturally formed groupings of hair follicles. Usually, these procedures are delicately done with the help of binocular stereo microscopes. They also carefully remove excess fibrous and fatty tissue from the grafts without causing slightest damage to the follicular cells that will be used for grafting. These tiny grafts are then transplanted one by one into the tiny insertions created with help 0f needles or scalpel on the bald area of the scalp. The hair transplant is done according to the predetermined pattern and density of hair required. It is a lengthy process that may require 4 to 8 hours of the continuous surgical process. The FUE Hair Transplant:- Follicular Unit Extraction involves extracting healthy hair follicles directly from the posterior areas of the head and replanting of those tiny follicles unit grafts on to the bald area of the scalp. In contrast to the FUT strip extraction (2 to 4 inches long trip), in the FUE method only tiny follicles units consisting of 1 to 4 hairs are individually removed and transplanted to hairless areas. It makes use of minimum invasive incisions which involves tiny punches of between 0.6mm and 1.0mm in diameter both for extraction and transplantation of the hair follicles. Mostly the surgeon uses micro blades or tiny needle to puncture the donor sites of extracting grafts and again tiny holes are made on bald areas to plant those individual grafts in predetermined density and pattern. Normally, only local anesthesia is used in this transplantation method and the effects of which can last up to 5 to 6 hours. Since it is a high precision procedure, high powered microscope and specially designed instruments are used in FUE hair transplantation. Most patients who undergo this method of hair replacement has no noticeable scarring on the scalp as no deep incisions are required for it. FUE can be completed in one long session or multiple sessions depending on the amount of area under hair follicles transplantation. Usually, the FUE method of transplantations gives a much more natural look to the hair than the strip FUT method. However, the FUE method has few disadvantages. First of all, it is very expensive and many hours long procedure. The success rate of the FUE transplant is much lower than the FUT surgery method. The patient may require more than one transplant in most cases and it can be difficult to find a sufficient number of healthy follicles strips for the second or third session. In FUT, the patient is left with only one deep scar at the back of the head which would get mostly covered by the hair, whereas in FUE over 3000 round punch holes created on the scalp can leave scars all over the scalp. Especially when the hair begins to thin, all those hundreds of dotted scars will be externally visible. Every patient is eager to see hair transplant before and after results. However, the hope of good after results can be destroyed if no gentle care is given to the scalp for few months continuously after the transplantation. At the initial days after the surgery, the scalp skin would be very tender and sensitive. During this period the scalp should not be exposed scorching sunlight, humid weather conditions outdoor or dust and dirt outside; and the use of harsh shampoo or conditioner also to be avoided. After the surgery, a few days it is good to wear the surgical dressing over the scalp. The patient must strictly follow all the medical precautions given by the surgeon and should take all the prescribed antibiotic and/or anti-inflammatory drug without failure for the number of days as suggested. It is also good to consume hair growth vitamins for better results. Normally three to five days time, the patient will be able to attend the normal home and office chores. Usually, the transplanted hairs will fall off within two to four weeks after the surgery, and new hairs will begin to grow in its place from the hair follicles. The patient can expect about 60% normal hair growth six months after the hair transplantation. It is also good to continue with any of the good hair-growth drugs like minoxidil (Rogaine) to induce maximum hair growth after the transplantation. But any of those drugs must be used with the recommendation and observation of the surgeon. Normally the hair transplant before and after results are very satisfactory in most patients. But there are a few who would not get a good result with transplanting of hair. Because these replaced hairs are only the old hair follicles from another part of your scalp; which are also equally susceptible to alopecia like the hairs lost earlier. There is no guarantee that the replacement will last long as they too can be affected by androgenetic alopecia or fungal infections. All is not well with hair transplants. The success rate of hair replacement is below 70% on average. During the initial weeks after the transplantation, the patients might experience sudden hair thinning known as “shock loss.” It is a temporary effect, and the new hair would grow soon in place of the fallen ones. Another minor side effect of hair transplant commonly seen is scalp infections a few days after the surgery. Few days of mild bleeding is also noticed in some cases. Most common infection is the folliculitis which appears a few weeks after when new hairs being to grow in place of old hair strands that were transplanted. There are many reported cases of deep scarring and unnatural looking new hair growth seen as hair transplant side effects. To minimize the side effects of hair transplantation surgery, it is important that a person should take up this treatment only in total healthy condition. The surgeon must also perform all the necessary diagnostic tests to ensure hazel free completion of the treatment which will give maximum positive results. The cost of transplantation will depend on several factors. First of all, the country and locality from where you are doing this treatment will make some difference in the cost according to the local and services taxes, professional charges of the professionals involved and the reputation of the clinic or hospital. Secondly, the hair transplant cost is decided by the number of grafts, the number of sessions and time duration required for the surgery. Of course, the complex issues might involve more efforts and use of advanced medical instruments and thus the price of the hair transplant could increase further in such cases. Normally, in the US and the European Union, the hair transplantation cost will vary from $4,000 to $15,000. These kinds of cosmetic treatments are normally not protected under the insurance coverage or Medi-claim health insurance policies. 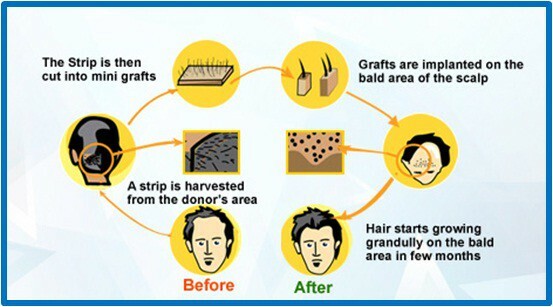 Hair transplantation is a big blessing, especially to the young people and woman who suffer most because of alopecia. In recent times, there is increasing demand for hair replacement surgery all over the world as more alopecia patients are opting for this treatment. There are varied methods of transplanting the hair, especially concerning the harvesting of the hair follicles with their advantages and disadvantages. It is the technically correct extraction of the hair follicles and skillful transplantation of the grafts that would ultimately determine the success of this treatment. Great details of techniques are to be followed in this treatment. Just, for example, the hair follicles normally grow at a slight angle to the scalp surface and so the transplanted hair follicles should also have a corresponding angle in both ‘donor’ and ‘recipient’ site to ensure the natural growth and look to the transplanted hair. Thank you for the information! I am getting a little bit older now and my hair is becoming more sparse as the days go by. My wife recommended to me a hair replacement that could help me keep my hair. I am considering it! Thanks again! This is perfect solutions for hair transplants. Also Hair Transplants Melbourne FUT and FUE performed by Dr Paul Spano. Replace your lost hair and stop losing more. Hair loss can be treated effectively. It really sounds funny to live with transplanted hair…after all…living with a bald head is not anything to be so much ashamed of…one should go for this kind treatment only if the person’s profession really demands it…jut for example ..a HW actor.